We have all read about the rising cost of gas bills. However, we need to heat our homes, we need hot water and we need to cook. 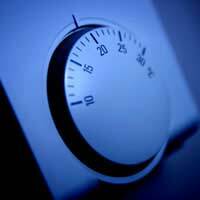 In this article we’ll look at energy saving ideas to keep your gas bill down. As well as saving you money, reducing your household’s energy consumption is also better for the environment. The costs and services of different gas suppliers vary greatly and switching to a cheaper gas supplier can significantly reduce your bills. You can compare gas suppliers using an online comparison site such as Uswitch. You’ll need to input your average annual or monthly gas bill and you’ll ne shown the potential saving you could make using a different supplier. Many energy companies offer both gas and electricity supplies. If you get both energy supplies from them – a package usually called dual fuel – you’ll make a saving on the overall bill. You may also get money off your annual gas bill by paying by direct debit. Many energy companies offer a discount of up to 10% for customers who pay by standing order each month. It’s also a much more convenient way to pay as there is no need to worry about writing cheques and remembering dates. Bear in mind also that many energy companies offer reduced rates to those on low incomes or who are old or disabled, for example. These deals are called social tariffs. If you think you may be eligible enquire with your energy company. As you will be paying for the gas to heat your home, you’ll want to ensure you keep that heat within your house. The best way to do this is to ensure that your house is adequately insulated. You may want to consider loft insulation and cavity wall insulation – both can help consumers make real savings on energy bills. Loft insulation is fairly straightforward to install but unless you have some experience it is advisable to use a professional to install cavity wall insulation. It’s possible that you could be eligible for a grant to insulate your home. Contact your Local Authority about this. Turn your thermostat down by just one degree. This small measure could reduce your gas bill by up to 10% and it’s unlikely you’ll notice a significant drop in temperature. Consider fitting your home with double glazing. Double glazing is not cheap but in the long-term it could result in significant energy savings. Enquire about fixed price tariffs with your gas supplier. Although your monthly bill may go up slightly, you will be protected for a fixed period from price rises. Use draught excluders to prevent heat escaping from rooms in the house. Look into upgrading your boiler. Modern condensing boilers are much more efficient. It is also possible to receive grants to upgrade boilers. Boil water for cooking – for example vegetables or pasta – in the kettle. Apparently it is cheaper to boil water in the kettle using electricity than on a gas hob. When you do boil water, only boil what you need.